Welcome back to The SKTCHIES, SKTCHD.com’s first annual year-end awards. With The SKTCHIES, it’s less about defining the best in comics. Instead, it’s more about sharing our favorites, and the ones that helped make this year a great one for the medium. And today, our comic-centric section kicks off in a big way. It turns out there are a lot of comics coming out these days, and they are more diverse and interesting than ever. New publishers are springing up all over the place, comics are being released in new ways, and more varied subjects and stories are being told than at any point in comic book history. What does that mean for my year end awards? Well, it means they’re going to be big in response. Over the next five days I’ll be revealing five different titles a day that were my favorite – not necessarily best, but my favorite – comics of the year, with each getting their own SKTCHIES award. While that means they’re getting a fake award, it is in fact a fake award that celebrates their very real quality. Even with that larger than usual list, I can’t cover everything, so please, by all means – share your favorites in the comments. So without further ado, here are the first five titles that make my year end list. I swear every day won’t be this Image centric, it’s just how it kicked off. Also, the titles are ordered alphabetically, so if you’re wondering where a title that starts with an “S” or a “U” is, wait a day or two before sassing me. It may make the list yet. Before 2015, there three things I was certain of: death, taxes and not buying Archie comics. It’s not that I have some sort of unstated vendetta against Archie – it’s just that world never interested me unless it was being taken to pieces by a zombie outbreak. It didn’t seem for me, and why would I pick up something that just wasn’t my cup of tea? These were questions that had comfortable answers for a long time. But then they decided to relaunch the main titles with superstar creators like Mark Waid, Fiona Staples and Chip Zdarsky involved, and that all went out the window. 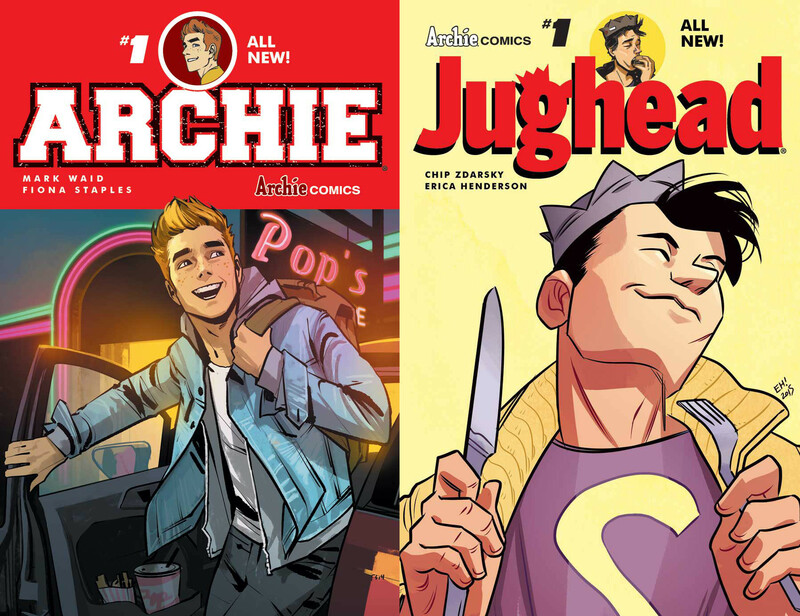 If you read my review of the first issue of Archie’s relaunch, you’ll know where I stand on it, but here’s the crazy thing: it may have only gotten better from there. Story beats like the payoff for the #LipstickIncident and how Archie’s life has changed since Veronica has gotten involved are experiences most anyone could relate to, because it’s all about how life changes as you age. It’s a phenomenal book that has a real universality to it even though it’s still very much an Archie story, and like Archie was always meant to be, it’s a lot of fun too. Plus, Staples and her follow-up artist Annie Wu have given the book a visual edge and storytelling flair that the book always lacked for me. That’s a big deal. It’s not just the main book, though. Zdarsky and Erica Henderson’s Jughead is a legit revelation. That book is bananas. It’s like my idealized life revealed to me, down to the free market burgers and the time travel hijinks. It’s everything I think I could want from a Jughead book, except it’s actually happening. It’s fun, unique and really takes advantage of the potential of comic books, mostly in the fact that it’s kind of over the top crazy. That’s where my last point about these books come in: this wouldn’t be possible if Archie Comics didn’t decide to take a risk. They could have rested on their laurels and lived off their existing audience forever and likely been okay. But they continue to take risks in exciting ways, whether that means publishing a zombie book or a book about witchcraft or reinventing their flagship books for a modern audience. That takes guts, and their fearless decision to turn something old into something new hasn’t just been a success: it’s been a game changer. I’ve said a rough approximation of this fact before, but get this: John Layman and Rob Guillory’s Chew was tied for the fourth highest numbered comic in the top 200 of the Diamond sales charts in October. That’s insane. This is a comic that has now released 52 issues and has been published for just over six years and in today’s era of relaunches and reboots, it’s basically the Old Man Winter of the comic industry. And because of that, we ignore it. The comic industry rewards recency, which means comics like Chew or other well-crafted confederates of the “older” variety are ignored. I’ll be writing about this more in the future, but that’s an odd, sad side effect of industry trends. 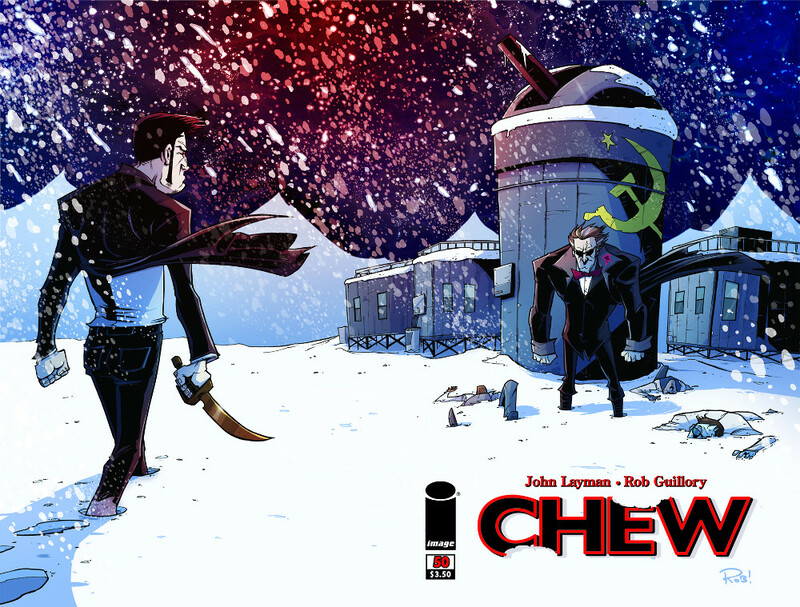 The reason it’s sad, though, is because Chew’s still every bit as good as it was when it was an Eisner winning darling. Layman and Guillory continue to tell a hilarious, heartbreaking and surprising story filled with the raw imagination we want from our comic books. They hit a landmark issue this year – #50 – and in it, they paid off their main thread storyline in a big way. While it’s by no means easy to launch a comic, maintaining the same quality of work/interest and even improving on it is possibly the hardest thing for a comic creator to do these days. Besides bringing your story to a close, that is, which is something they’ll be doing in 2016. If 2015 and the years that preceded it have proven anything, it’s that this duo will find a way to give the book and its readers a satisfying conclusion. We have years of evidence, and in 2015, they’ve shown that they are still firing on all cylinders like they have been from day one. Success like that is worth paying attention to, even if it doesn’t have the glamor of some of the books it lines up against. 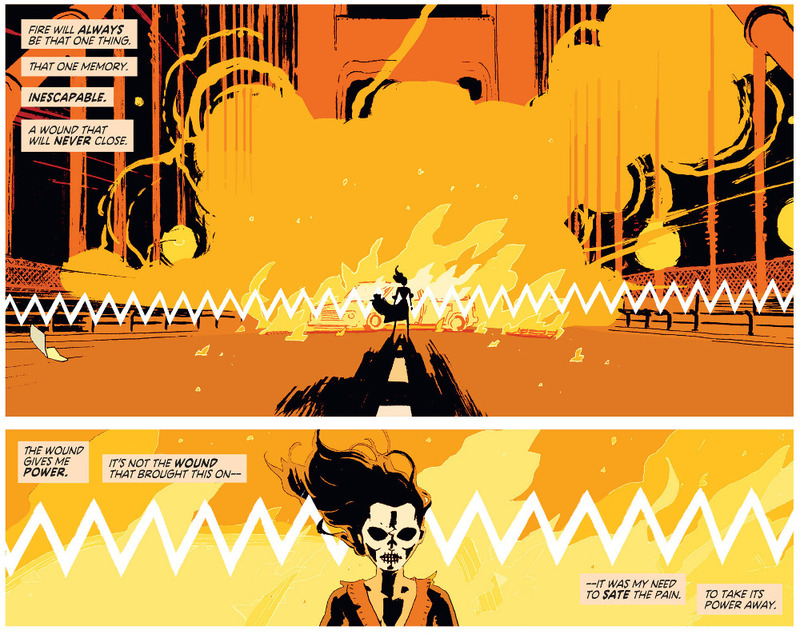 Deadly Class is on my short list for best comics these days, and it’s easy to see why. I’m not sure I’ve ever read a story that really gets what it’s like to be young better than this book, even if I’ve never been to a school for assassins and I was never a habitual drug user who was a borderline train wreck. 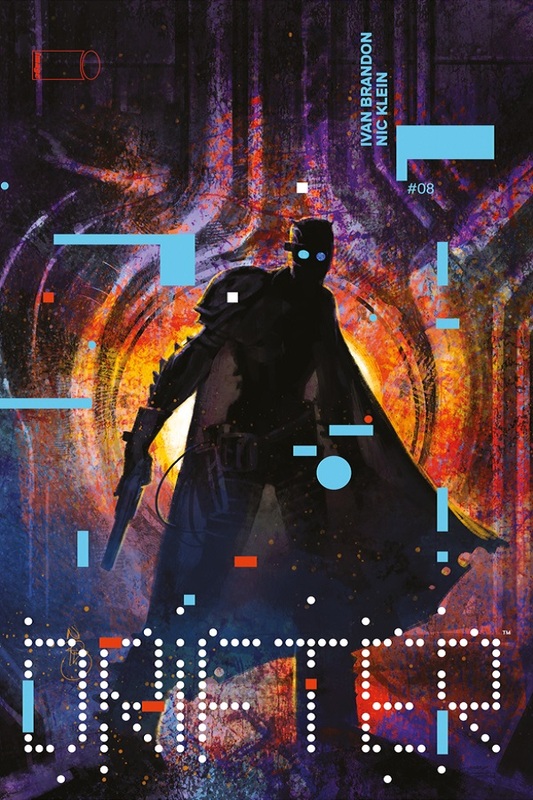 But it’s not really about what series lead Marcus does that creates that universality the team on the book – Rick Remender, Wes Craig, Lee Loughridge, et al – accomplishes. It’s just about the general feelings of confusion and alienation and self-destruction and anger that your late teens create in you. I remember being in high school and thinking that everyone hated me. Everyone. I had friends that cared for me and my family loved me and still you feel like it’s an act, and it’s one that you and only you can see through. It wasn’t true, and it never was. But it felt true, just like it did for Marcus. That’s in part because you’re a little bit stupid when you’re young, of course. For Marcus, though, his setup is infinitely more entertaining that mine was. It’s high drama with murderous classmates and even worse faculty, and that’s not even mentioning the love interests. My god, the love interests. Deadly Class proves that few people can do more damage – mentally, physically and emotionally – than the people you care most about, although thankfully no one I ever dated carried a sword. It’s an intense book, but it’s also a beautiful one. I called Craig the best artist in comics the other day, but it’s worth mentioning that it isn’t just Craig – although he’s an art monster designed for kinetic action sequences and heartbreaking character moments. Loughridge’s colors are huge, and while he’s doing something he’s done for his long career – enhancing the mood and impact of every bit of story we get – he’s found a perfect fit for his work here. His work on issue #12 was straight up spectacular. Deadly Class is a beautiful disaster, and one that only looks to get better in 2016. There are a lot of books to look forward to this upcoming year, but its return at the end of this month in beyond promises to only up the ante (and insanity level) a few more notches. I can’t wait, even if I’m sure its lead can. When you take in a story, part of you is always looking to it as an escape. Not that every person who reads a book or comic or watches a movie or TV show is trying to get away from something, but you want to find a world that you lose yourself in. It’s an experience where the world drifts away and you’re left in this new place, there to discover what’s next along with everyone else. It may be a romanticized view of the narrative experience, but for me, it’s something I look for. 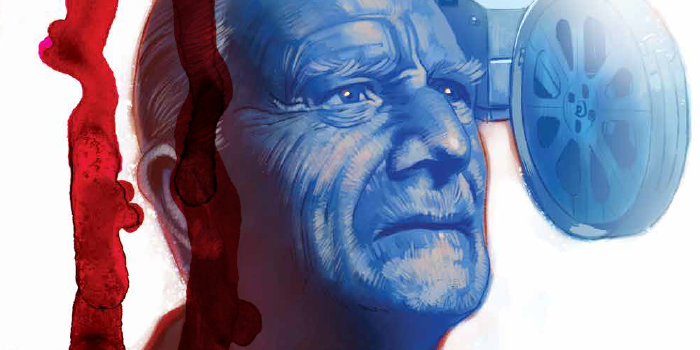 Few comics this year delivered a more immersive experience in the sense that I’m talking about more than Drifter. This series from Ivan Brandon and Nic Klein tells the tale of Abram Pollux, a man who crash landed on a spartan, forgotten planet named Ouro who is looking to discover what happened to him and what is next in his life, and it’s an incredible read. I can say wholeheartedly that there are no other comics being published today like it. It exudes attitude from each panel, page and issue, and you feel it as you read it. There’s a longing to it – an odd sadness that underlies what’s happening on the page. Each person on Ouro is lost, and they’re just trying to find their way. Brandon’s scripts do a phenomenal job of conveying that, and Klein’s art…well, he’s one of the best. Drifter should be read just to experience Klein’s art. He’s doing everything, art wise, and his colors alone are worth the price of admission. He brings the stark, broken nature of Ouro to life in the worst parts and the mystery and unexpected grandeur to the page in others, but every element is nothing short of gorgeous. For the readers who complain about modern art being unfinished in parts, you won’t find that here. Klein delivers every detail in fully realized fashion. It’s not just the main team, though. Clem Robins is doing great work lettering the book – I really enjoy the special look he gives who runs the show behind the scenes in Ouro’s frontier town – and Tom Muller…well, I’ve talked about him quite a bit, but his contributions should never go unmentioned. He helps make the book. Part of the problem in comics in 2015 is we’re reaching a point where there’s almost no way good books can be read by everyone – there are just so many good books! It’s like what TV is going through now – #PeakTV – and a book like Drifter can be missed because it doesn’t have the high concept that immediately grabs you or the superstar creative team. But it has what it takes because it’s a great comic and one that you get lost in with the greatest of ease. I hate to pitch readers but the first and second volumes are $9.99. I heartily recommend trying it out, as you might find something new to love in a book that may have gotten lost in the shuffle for many readers. People talk about comics and their capability all the time. They say things like “comics can be anything” and “the amazing thing about comics is the only restriction is your imagination,” and they’re right. Those are impressive statements about what make comics special, and both are things I’ve said myself. But that doesn’t mean every comic has to be some sort of grandiose adventure or mind bending trips through time and space. Comics can be anything, and sometimes, we’re better off with the occasional book that looks to unexpected places in the past and focuses on smaller stories built on people. Ed Brubaker and Sean Phillips have been telling stories like that for years, and they all have their own unique angle. Sleeper’s built on secret cabals and super powers. Criminal’s focused on the seedy underbelly of the world. Incognito was a pulp, superpowered jaunt. Fatale was their attempt at tackling the supernatural and Lovecraftian parts of the world. The Fade Out? It’s especially interesting because it has the Hollywood angle and it’s ostensibly a crime/noir story too, but there’s nothing from beyond our scope as people, really. It’s about the good and bad within all of us, and no one really feels larger than life outside of security/muscle man Phil Brodsky. And I love the book all the more for it. Brubaker’s writing and Phillips’s art are as good as ever here, and they’ve crafted a haunting, unforgettable story loaded with exceptional characters and a revealing look into the dark side of Hollywood. Elizabeth Breitweiser joined the pair on Fatale midway through, and she’s really hitting her stride on this book, pairing perfectly with Phillips’ art to create a mood and sensibility that’s both fitting and immersive. The trio’s firing on all cylinders, and with the finale coming right after the turn of the new year, the ante is being upped in a major way. That’s because it’s all built on people, and this creative team knows what it takes to go deep into their hearts and tell the story that’s within them. Whatever happens to Charlie Parish and whatever happened to Valeria Sommers will most likely be revealed, but whatever happens, I’m confident that will be a phenomenal read, just like the eleven that preceded it have been. Come back tomorrow for the next five of our favorite comics of 2015, as they’ll be dropping five a day for the entire week.